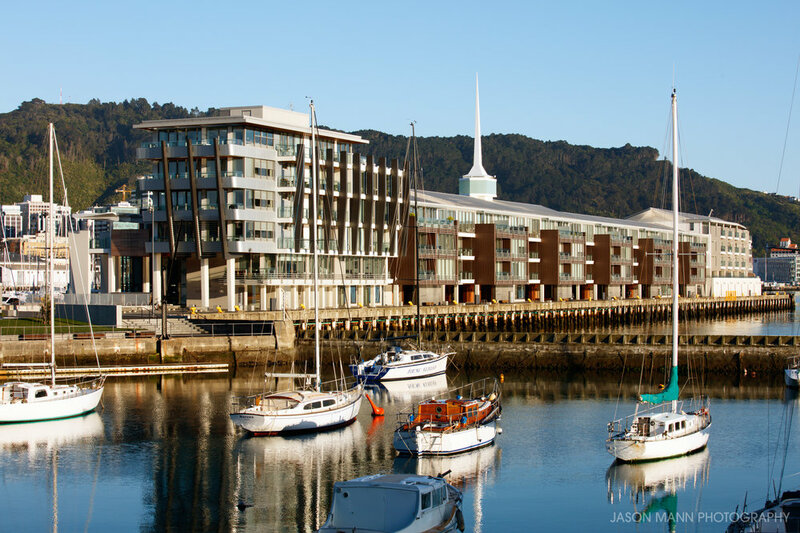 Conscious of the prominence of the site and the close public attention paid to waterfront development in Wellington, the architects have worked hard to integrate this building into its harbourside environment. It’s a strong addition to the urban shoreline. The long low structure, articulated in three parts as it progresses along the wharf, has the footprint required by the brief but also allows for the continuation of the public waterfront promenade. Viewed from the harbour the building establishes a nice connection with the yachts moored in front of it and houses stepping up Mt Victoria behind it. 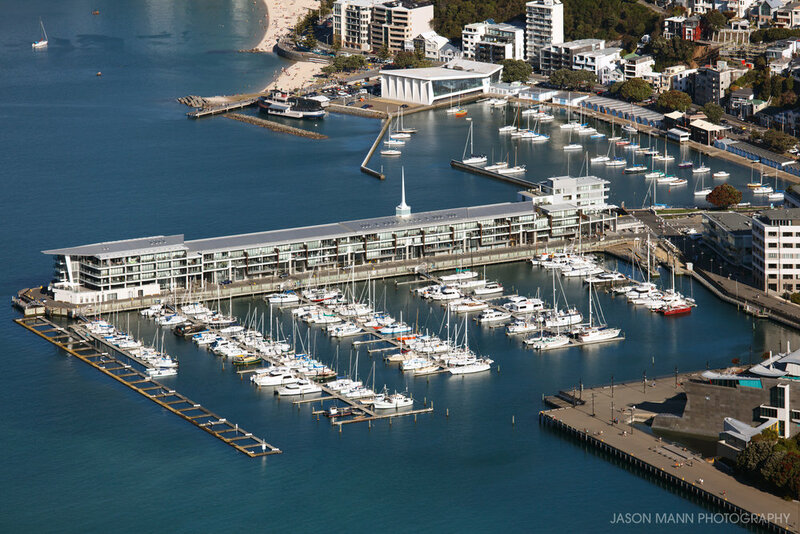 The seventy-six apartments on the upper floors – the wharf level of the building is set aside for commercial activity – are well deployed and planned. 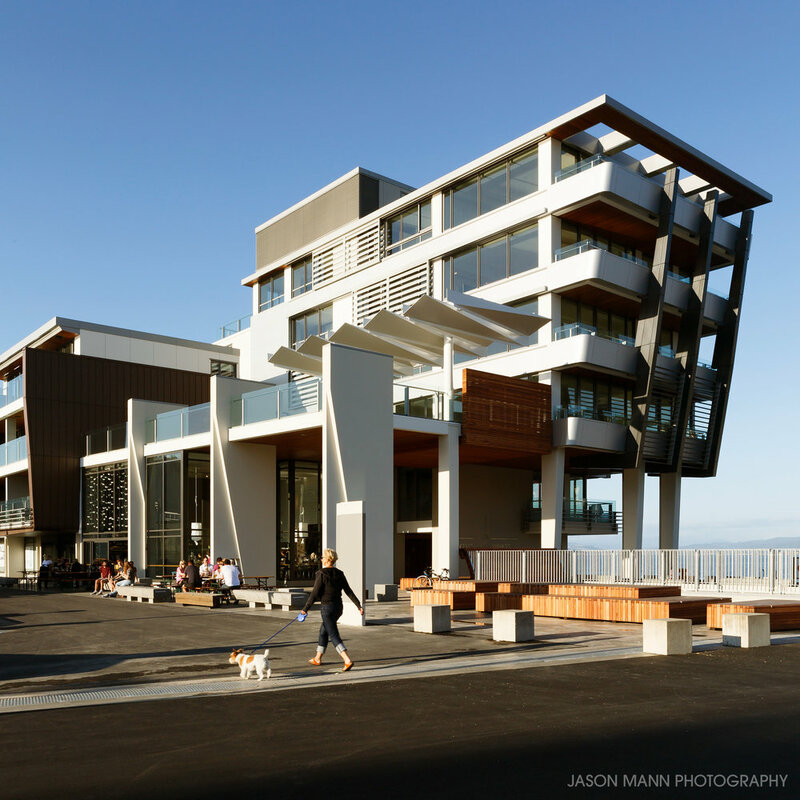 Taking advantage of the wharf’s north-south orientation, the architects have given all of the apartments east and west aspects and access to morning and afternoon sun. A project image library is available to review by request.